Rising prices, drastic shortages, dodgy brands of dubious provenance… These are difficult times for lovers of Japanese whisky. Can we wait for supply to catch up with demand – or is there a more radical solution for the industry? Tom Bruce-Gardyne reports. In the words of our resident Whisky Virgin, it is ‘the most zeitgeist-y of brown boozes’ – and that’s a view shared by just about every style guru in the media. Indeed, if column inches were drinkable we’d all be drunk on Japanese whisky – or at least we might be if it weren’t so damned hard to find. 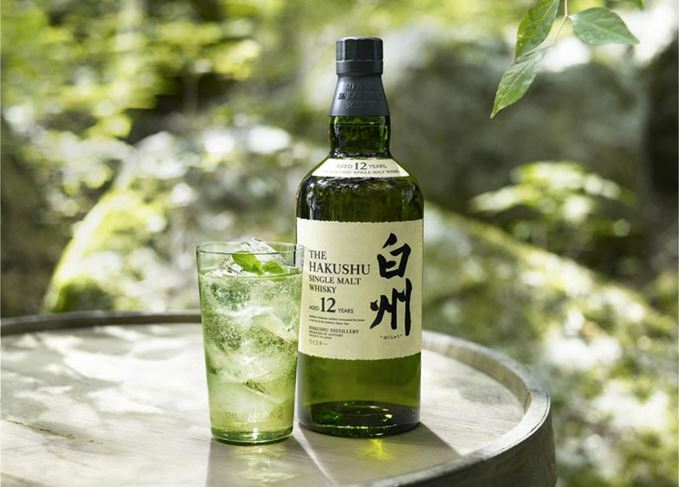 There is a well-reported drought in the west, caused by whisky drinkers in Japan who have stripped distillery warehouses bare in their thirst for Highballs. Given the current buzz around Japanese whisky, even to hint at the category’s demise sounds absurd. Prices have gone through the roof, but people keep coming back for more – certainly at the Highlander Inn in Craigellachie, according to Tatsuya Minagawa, who argues that interest will endure. And yet we can be fickle in our loyalties and notoriously impatient if we can’t get what we want. Whiskies like Hibiki 17 Year Old and Hakushu 12 Year Old were dangled in front of us only to be snatched away, leaving precious few bottles with an age statement. Add in those dodgy new brands of dubious provenance and you have to wonder: Is the future of Japanese whisky… gin? ‘Much as I don’t want this to be “middle-aged bloke reminiscing about how great whisky was in the past”, it is undeniably true that things have changed somewhat since my first trip to Japan 20 years ago. ‘Back then, all the wonders of Nikka and Suntory were there to be enjoyed. Cask-strength Yoichi, age statements, limited editions were all readily available, offering a whole new playground of flavours, textures and stories, plus rarities from other, unheard-of distilleries – including Karuizawa. ‘Prior to buying the entire inventory (and realising how little stock there actually was), we were happy to sell bottles of delicious, Sherry-aged, cask-strength single malt from a closed Japanese distillery for £60-100. That’s all gone now. Those same bottles swap hands for 100 times the initial prices. ‘Now there is effectively no aged Japanese whisky available and whatever you have the good fortune to find (and you’ll need a small fortune) is horrendously over-priced. ‘Yes, Chichibu is excellent. However, Ichiro [Akuto] is such a perfectionist that I don’t anticipate a huge growth in its availability. ‘The Hombo family has built a new distillery in Kagashima – should be interesting, and Suntory and Nikka will be laying down stocks. ‘Which leads to concern number three: Japanese blends have always included non-Japanese whiskies. Why else would Japanese whisky companies own distilleries in Scotland? ‘The new kids on the block, with an eye to the main chance, are buying whatever they can find wherever they can find it, shipping it to Japan for bottling, and – hey presto! – Japanese whisky. Except, of course, they risk killing the golden goose. ‘So maybe, just maybe, Japanese whisky has had its moment in the sun. That glorious 15-year period of discovery has come to end. Whisky consumers are more sophisticated than ever; there is more from which to choose. ‘The legacy of Japanese whisky may be that it gave confidence to other countries to make amazing whiskies of their own. Will whisky enthusiasts wait 10 years for the next age statement? Will fanatics wait three or four years until Japanese whisky tightens its regulations? Will new consumers be put off forever by paying through the nose for something that isn’t Japanese? ‘But the reputation of Japanese premium spirits is rising in another category. On the day of writing, I am thrilled that KI NO BI Kyoto Dry Gin has been awarded the Contemporary Gin Trophy by the IWSC. ‘Of course, gin and whisky are totally different, but I understand the question; it is whether this interest in Japanese whisky will last. ‘Right now, everybody is talking about Japanese whisky and of course people want to try it. When they do, I really hope that half of them will become fans even if, for the other half, it is just a passing fashion. ‘I strongly agree with those who say we need to have a clear definition of Japanese whisky. Currently, you can add whisky from another country, up to 90% or more, and still call it Japanese whisky. ‘But companies like Suntory, Nikka, Kirin and especially Chichibu, have done a good job in having rules similar to Scotch whisky. They want people to know that their whiskies are 100% Japanese unless the label says “world blended whisky”, in which case the word “Japanese” won’t appear anywhere. ‘Because there are no proper regulations, there are so many poor-quality Japanese whiskies available. Half of them are horrible, to be honest, and we would never stock them at the Highlander, though you can easily buy them on whisky websites. ‘We find that demand is still very high, with people wanting to buy quality Japanese whisky even if it costs £50 or £60 on the shelf. ‘Personally, I am not so keen on many of the Scotch non age statement whiskies, compared to Japanese ones like Hibiki, Hakushu, Yamasaki and Chichibu, which are really drinkable. But it is not fair to compare them to 50-year-old whiskies like Karuizawa from the 1970s. ‘Japanese whisky is inspired by Scotch and the ingredients are exactly the same, so it’s very different from American, Canadian or Irish whiskey. The maturation is affected by our climate, but the main difference comes from the blending skills because, originally, these whiskies were created to match our Japanese palate. Japanese distillers are ramping up production, laying down stocks and doing what they can to rebalance supply and demand. Removing age statements has been part of the process, but many of the replacement non-age bottlings are not to be sniffed at. Tatsuya Minagawa has a point when he suggests that the Japanese may have done a better job with NAS whiskies than the Scots. The real issue is one of regulation. If you put a blend of Canadian and Irish whiskey through a bottling line in Glasgow, it wouldn’t miraculously become ‘Scotch’, but it could call itself ‘Japanese’ if done in Kyoto and then re-exported. Such subterfuge is no better than the Tunisian olive oil that turns ‘Italian’ when pumped ashore in Puglia, or the lamb that becomes ‘Welsh’ after a day out in the Brecon Beacons. Given the level of interest and pent-up demand abroad, it would be a crying shame if the Japanese whisky category is poisoned by a load of ersatz whisky that isn’t really Japanese at all. So, the solution is obvious – tighten those laws and tighten them quick. Dave Broom reports from Japan on the challenges facing the country’s whisky industry.